6. several very small holes on one sleeve, could have been moths, about 1/8 in. 3. across shoulders 13 in. 5. around top of sleeves, 24 in. 3. around bottom, 100 in. 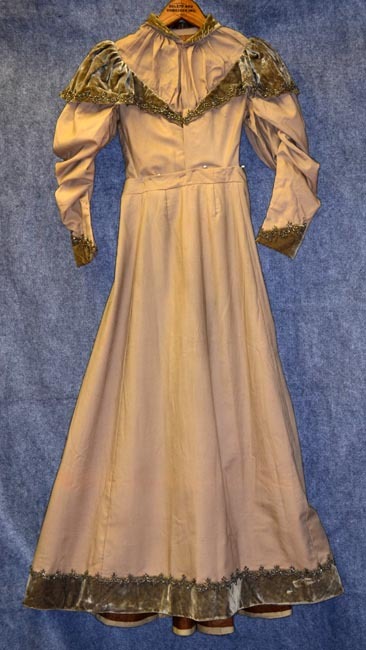 1890's based on the sleeves.